Despite its long service to New Jersey residents (it is the oldest community college in the state—1933), by the 1980s, Union County College was no longer the leader in the state. In 1990, a new president, Dr. Thomas H. Brown brought a new vision, leadership, and direction to a staid environment. 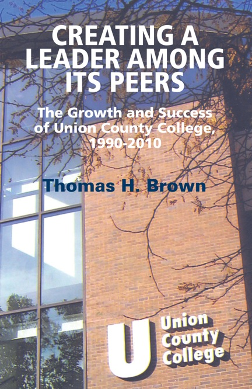 The college made dramatic advances and was able to become “a leader among its peers.” This dramatic growth and development reflected the leadership of Dr. Brown and the dedicated work of the academic community of the college and the support of the people and leaders of Union County.